We understand “Utopia” as an always incomplete alternative, the invocation within the given world of something incompatible with, and hostile to, given conditions. It is a negation of the given and a recognition of “something missing,” but also a necessarily imperfect assertion of that which is not—yet. 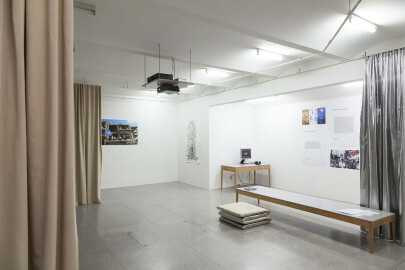 The work follows utopian projections that serve the purposes of secession from and resistance to our particular present. The “negative” or “critical” version of the utopian “impulse” is not just a matter of satire, or listing what’s wrong with the world as though listing it could change it. Utopia, rather, is the assertion of the unrealized in and against the real. 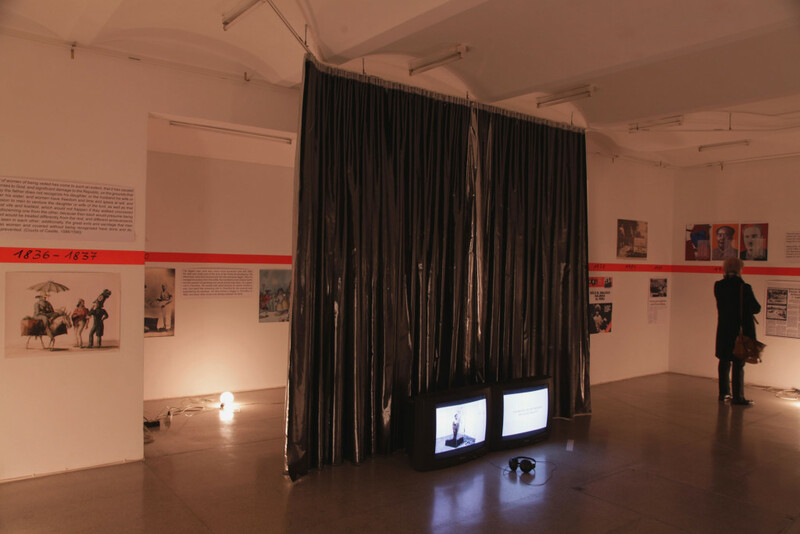 The first public appearance of Utopian Pulse – Flares in the Darkroom was Salon Klimbim, orchestrated by the artist-curator Fahim Amir and Ines Doujak on January 23, 2014 in correspondence with Oliver Ressler. Between February and September 2014 a series of 7 large-scale banners (3,4 x 9 meters) has been presented on the façade of the Secession. Urgent Alternatives: Utopian Moments related to the uprisings and social movements that have emerged in recent years. 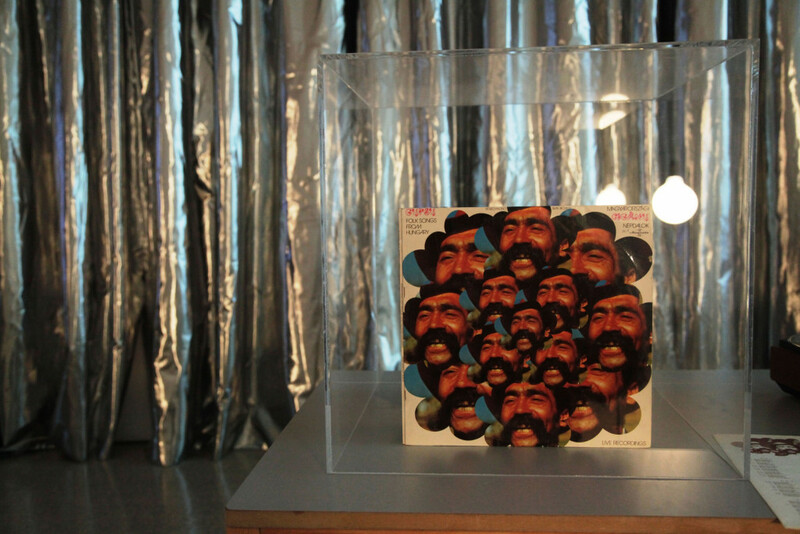 The artists were invited to focus on the utopian pulse in these actions and movements. All the artists have in common that they are directly involved in the protests they focus on in their banner, or talk from a clear, unequivocal position of solidarity with them. Banners have been commissioned by Katarzyna Winiecka (February 2014), Halil Altindere (March 2014), Wealth of Negations (April 2014), Nobodycorp. 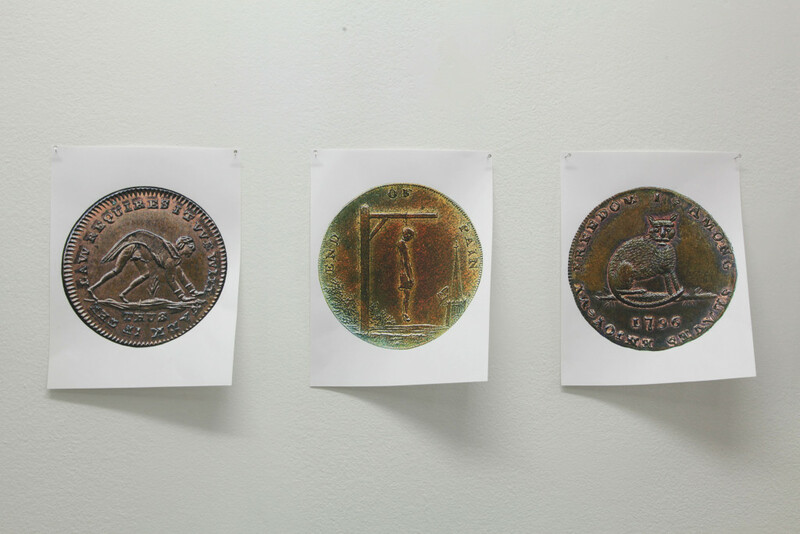 Internationale Unlimited (May 2014), Etcétera (June 2014), Oreet Ashery (July 2014) and Daniela Ortiz (August 2014). 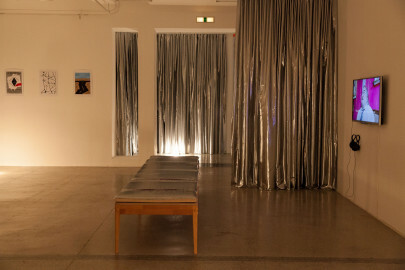 Utopian Pulse – Flares in the Darkroom as an exhibition at the Secession is divided into seven salons. 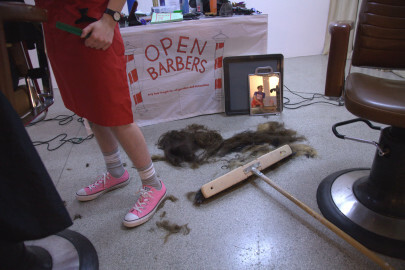 It seems urgent precisely when the potential imperfectly expressed in the salon is seen as neither a proto-public sphere—that is, one stage in an orderly evolution towards universal convivial conversation—nor pure “courtly” proprietorship, but rather as a partial breach of the prevailing order of class and gender, a disruption that cannot become the public norm because it prefigures total upheaval of what constitutes the “public” and is instead a place for the monstrous birth of new alliances. 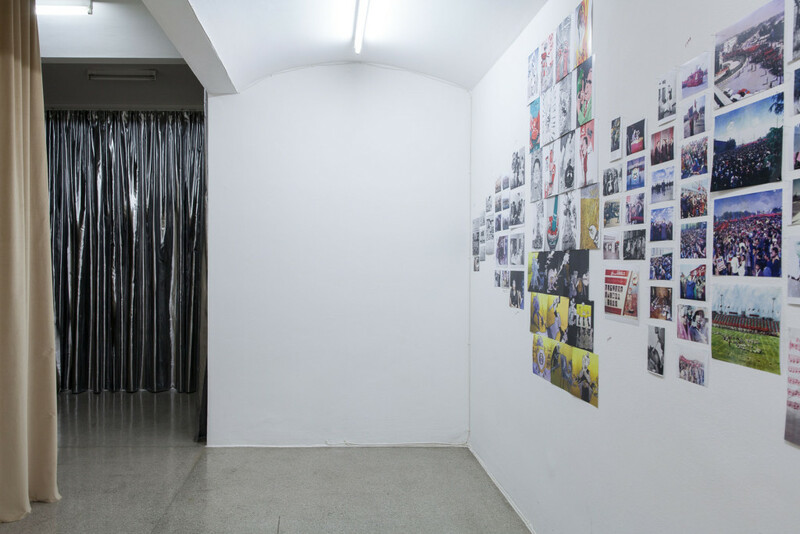 Utopian Pulse – Flares in the Darkroom brings together international cultural producers who have substantial artistic and curatorial practices. 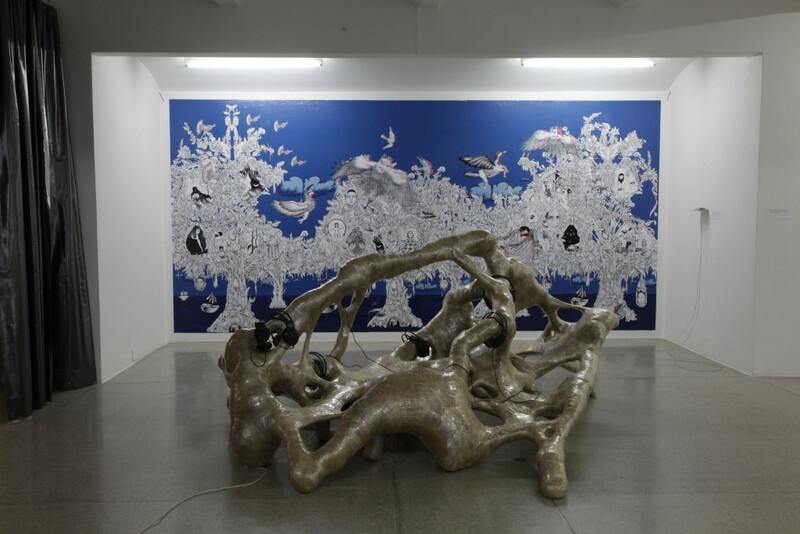 Over two months, they will show and discuss works of other artists in the gallery of the Secession every week. The contributions of the individual artist-curators will not be shown sequentially, but will productively interact with one another. The salons will open in weekly intervals. The outcomes—whatever their form—will constitute a collective challenge to the constituent roles of social actors within the field of art in more complex ways than simply as “artists,” “curators,” and “viewers”, in order to imagine new forms of exchange. 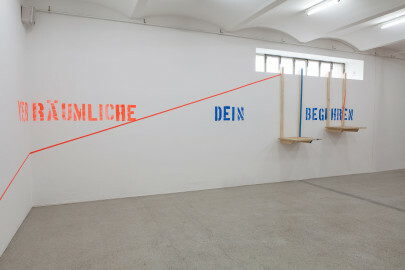 The sequence of exhibitions at the Secession consists of Salon Public Happiness (curated by Christoph Schäfer), Salon-E-Girdbad [Salon of the Whirlwind] (curated by Mariam Ghani), Salon Orizzonti Occupati [Occupied Horizons] (curated by Bert Theis), Salon Fluchthilfe [Salon Escape Aid] (curated by Zanny Begg), Salon DADADA (AND AND AND with Ben Morea and friends), Cuartos de Utopía [Rooms of Utopia] (curated by Pedro G. Romero/Máquina P.H.) and Salón de Belleza [Beauty Salon] (curated by Miguel A. López). While the exhibitions are on view, large banners created by the artist-curators will be displayed on the Secession’s façade, also in weekly alternation. The project will be continued in a new configuration at Württembergischer Kunstverein Stuttgart in 2015. 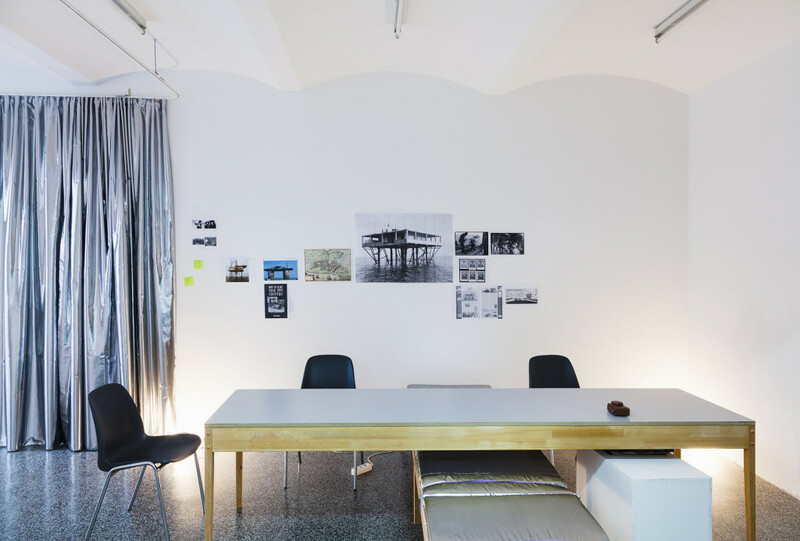 Recent spatialized struggles have managed to create resistance on the slippery postfordist ground. Salon Public Happiness invites people who think of happiness as something collective, something public: people who are active with artistic means in urban struggles in Istanbul and Hamburg. Videoccupy is part of the multi-facetted Gezi-Taksim-movement. The groups from Hamburg support the inhabitants of the ESSO-Häuser and struggle for a social urban transformation. In the context of the Occupy and Right to the City struggles, they develop new ways of recording, distributing and working with private experience, with the imagination that jumps forth from everyday life. The invited artists do not intervene from outside, they would much rather act, think, reflect, document, dance, design, plan, produce within movements. They develop imagination and languages from the everyday life of cities, with and for the people who live in cities. The Salon’s title brings back a phrase used by the American revolutionaries of the 18th century, whose views were shaped in political assemblies, discussions and collective operations. According to Hannah Arendt, the phrase “Pursuit of Happiness” in the Preamble to the Declaration of Independence originally referred not to an individual right but to the “public happiness” that the fathers of the constitution experienced in the revolution. 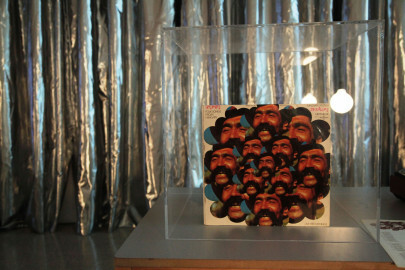 In the Salon of the Whirlwind, inspired by Kandahar’s mid-20th century Salon-e-Girdbad, we will use three unfinished Afghan feature films from different moments of the Communist period (early, middle and late) as the focal points for an exploration of how the Afghan Communist project disintegrated. We will trace this history through the desires and fears reflected in the films, and also through a series of supplementary materials and discussions, including newsreels, interviews, and a visual timeline of the entire period, constructed from archival photographs and propaganda posters. Finally, we will consider what it might mean to finish the unfinished projects, both artistic and political: these unfinished films, whose directors are still alive but have no access to their negatives, and also the unfinished political projects encoded in the films, the contrary projects of revolution and reconciliation. And we will ask: is it possible for utopian ideals to survive the whirlwind? when we tried to win back our horizon with Nikolas Sun-Cloud. 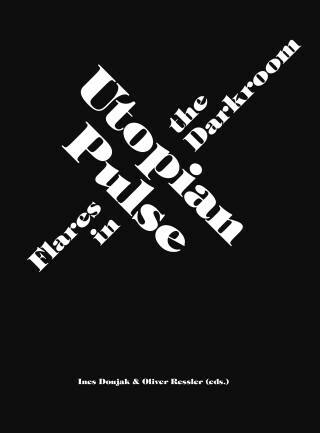 Utopia is often imagined as an elusive yet desirable place – here it is imagined not so much as a place but as a way of relating defined by a radical openness to the other. The German word “Fluchthilfe” has no easy English translation – it is a positive term used to describe those who help others cross borders to avoid persecution (whereas English has only derogatory translations, such as people smugglers or human traffickers). 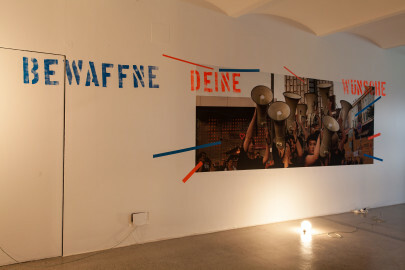 “Fluchthilfe” eludes a neat connection to any specific identity by encompassing both refugees and their supporters who form an underground web of knowledge and support that allows bodies to move. 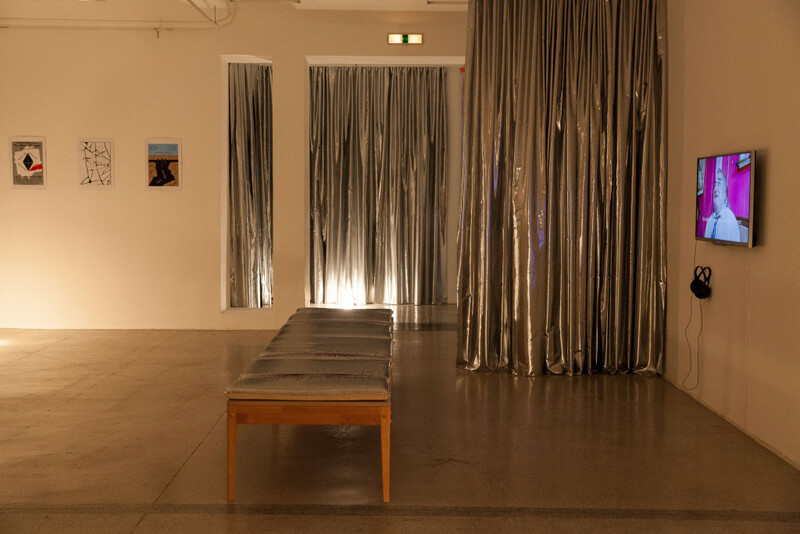 Salon Fluchthilfe [Salon Escape Aid] will explore the potencia of relationships based on hospitality, solidarity and reciprocity, where all are changed and enriched by their engagement with, and dependence on, others. Curated by Pedro G. Romero and Máquina P.H. Flamenco people are a remainder rather than a multitude, and have hardly aspired to emancipation or any political project. And yet, there they are: on the one hand, they inspire many forms of life that are today considered utopian – nomadism, community, the right to idleness – and on the other hand, they contribute poiesis to the new forms of political imagination – playfulness, camouflage, resistant forms of life. Alongside this, in the form of an open archive, the exhibition project outline Living Machines. 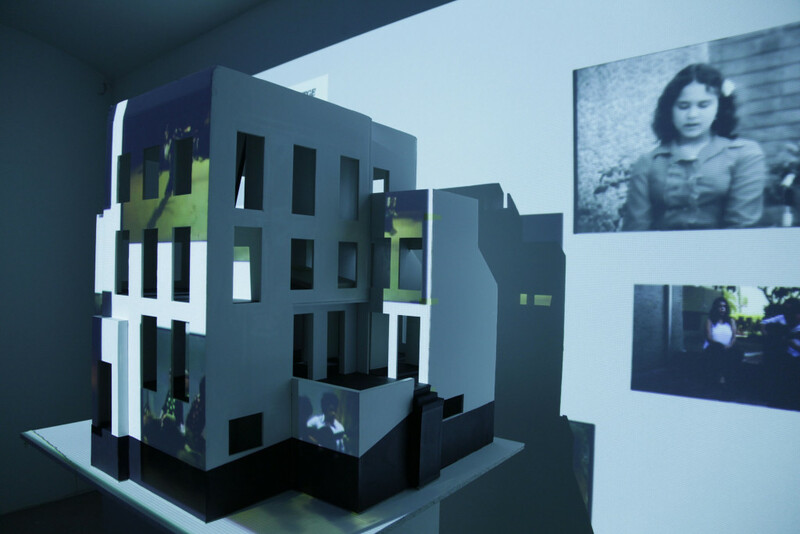 Flamenco and Architecture in the Squatting and Evacuation of Spaces, curated by María García Ruis and Antonio Marín Márquez, will be presented at the Wittgenstein House, the current cultural headquarters of the Bulgarian Embassy in Vienna. 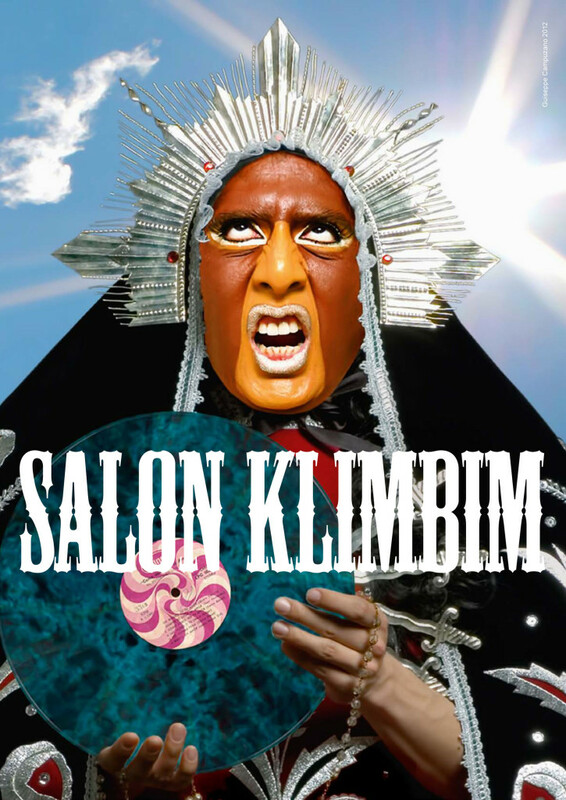 Salón de Belleza presents various pieces (photos, videos and performances) that explore techniques of body intervention, cosmetic rituals, and spaces where the body (or certain parts of it) get a “treatment”, associated with colonial history, migration, indigenous memory, affectivity, and queer beauty. This salon explores personal and collective fantasies of the self, questioning dichotomous conceptualization of gender and imagining a diversity of possible identities through the transformation of the personal appearance and/or of the destabilization of the visual memory of the so-called normal body.